The Maritime Speaker Series offers an assortment of monthly programs dealing with everything from historical topics to current issues affecting the Great Lakes and the economy that relies on it. The programs are held the first Thursday of each month November through April beginning at 7:00 pm at the Door County Maritime Museum in Sturgeon Bay. The final Maritime Speaker Series event of the season takes place on Thursday, April 4, 2019, 7pm. The event will feature maritime author Paul J. Mason in his discussion of the U.S. Lighthouse Tender Service on the Great Lakes. 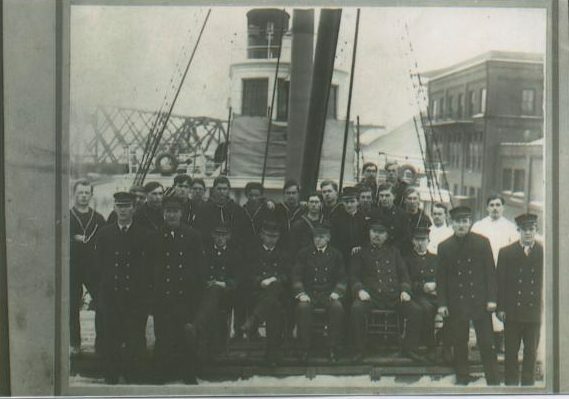 The ships and crews of the U.S. Lighthouse Tender Service were the unsung heroes of Great Lakes transportation for more than a century. Despite the critical role they played in maritime operations, little information is available about these hard-working men and the ships they called home. Paul Mason will bring them back to life during his talk. Richard Purinton, who serves as the CEO for the family-run Washington Island Ferry Line, will present a program about life on Washington Island during the winter months. Tim Sweet, of the Friends of Plum & Pilot Islands, discusses current preservation efforts. Umberto Vianello, Chief Engineering Officer for Fincantieri, presents an overview of one of the world’s largest shipbuilders and its anticipated impact on Wisconsin Shipbuilders. Guardians of the Inland Sea: Bob Desh gives a brief history of the U.S. Coast Guard on the Great Lakes.